NOKIA OFFLINE DOWNLOADS ON 4Shared TESTED BASIC FILES. 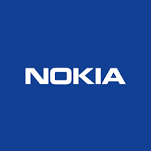 Basic three files (CNT, PPM, MCU) pack of Nokia most wanted and most used phones in the world and just one click download link to the latest and tested files. Download and extract anywhere is you Nokia flash files folder and flash with any professional flashing box like ATF, INFINITY NOKIA BEST OR UFS.